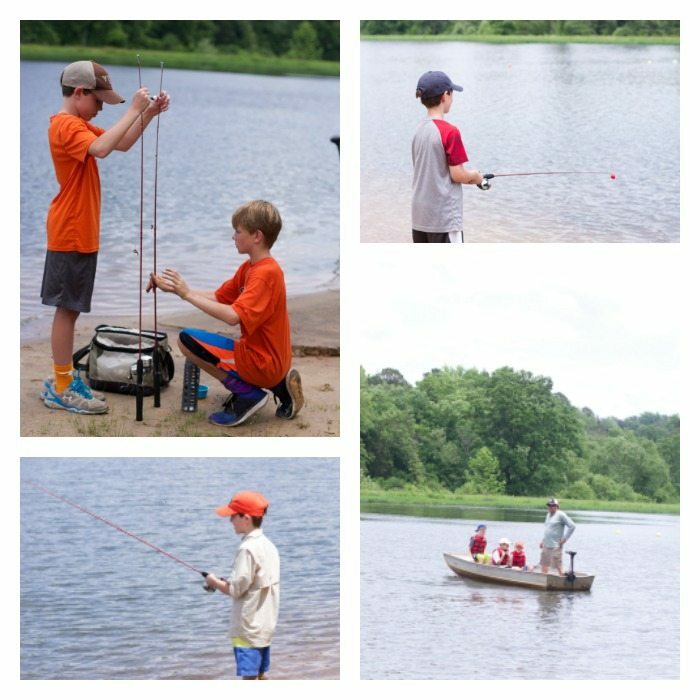 You have picked a fishing party for your child. 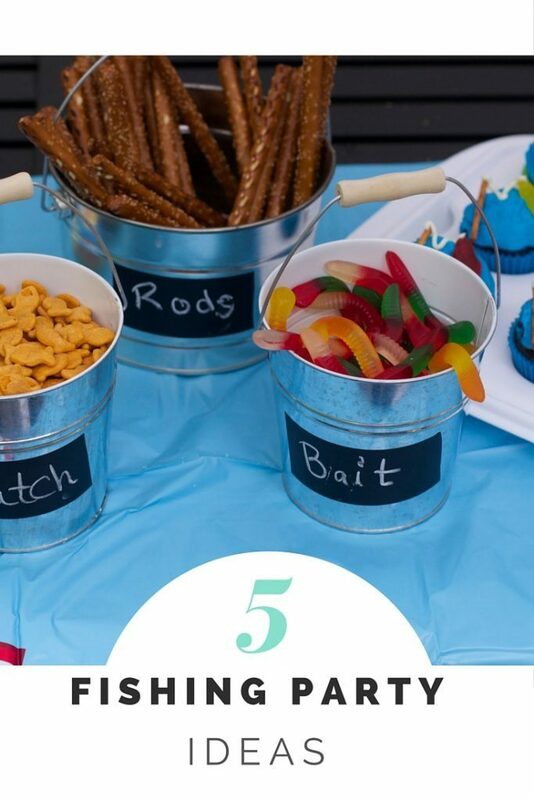 You have probably already seen the Fishing Party Food post we did.Now for fun fishing birthday party favors. The kids are old enough they do especially need to big gifts. I thought the gift of being outside and fishing with friends was a great gift. But who can resist party favors for about $1.25 each? 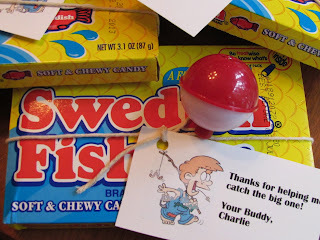 When we first hosted this party for my older child I made the same party favors but this time around I updated the tag and made a free fishing party printable for my readers. This post contains affiliate links. Party Favors don’t and should not be expensive, especially if you are paying for an off-site party. I like giving party favors that are useful or edible like candy. What child does not like candy. These are peanut free too and they can use the fishing bobbers for their next fishing excursion. We bought movie size Swedish Fish and tied a simple red and white bobber on them with a cute note card. “Thanks for helping me catch the big one”. Under $1.50 each party favor, but within the theme. 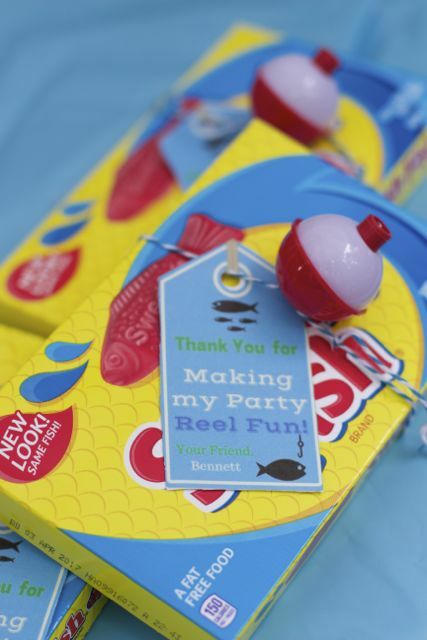 This year we made these adorable fishing party printables party favor tags for you to use. 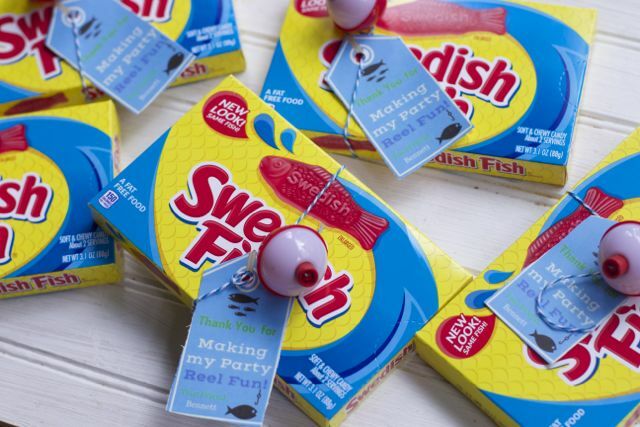 These fishing birthday party favors look great in a pile together. 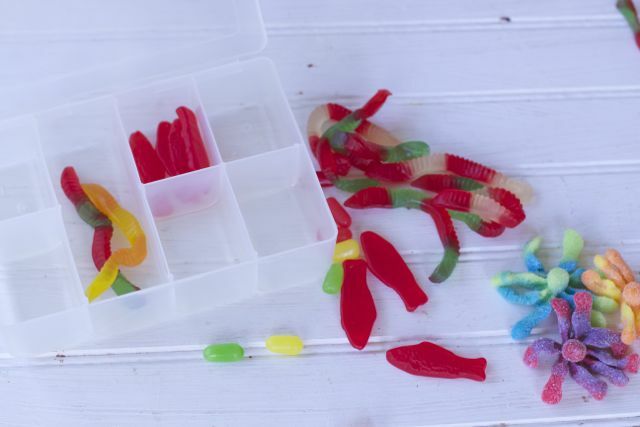 You could also make candy Tackle Box holders if you want a little larger more time intensive party favor. Either one will be a hit for your party goers. Print out your party favor tags here: fishingpartytags-2 . If you are hosting a party at home and can decorate a little more, here are some fun Fishing Party Decorations and pricer party favor ideas. I think all the kids had fun at this fishing birthday Party. It is so important to get kids outside and explore nature. No video games or phones here. What hobbies do your kids have that would be a great boys birthday party idea? Be sure to check out our post on food and snack ideas for your fishing party.